Leaves are the main energy conversion section of most plants. 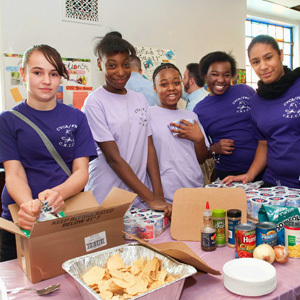 LEAVES programs focus on youth in 5th-8th grade – a group typically at risk for significant and long-term public health challenges such as obesity. LEAVES programs emphasize learning and mastering good health practices. This camp is an expansion of the original Super Girls Camp for elementary school aged girls. Super Camp Leaves is summer Leadership Academy for middle school aged girls of African ancestry. The Camp provides girls with leadership training and confidence grounded in a sense of history and cultural understanding. At Super Camp Leaves, girls will use mathematical skills while shopping on a budget; develop an understanding for science and engineering, refine their history, and reading skills through a cultural exploration of their heritage. In addition, campers receive mentorship from professional Black women trailblazers. They practice reciprocity by participating in community service activities and a weekly internship project. Learn the fundamental of reducing sugar intake and moving daily. Perform choreographed dances in Jazz, hip-hop, step and modern dance. Learn the history and fundaments of living a life of harmony guided by the universal African principles of Maat. Learn strategies for fostering confidence and self efficacy by studying persons of biographical and cultural significance. Learn the fundamentals of body confidence. Learn how to work together with community stakeholders on a social action project in the community. Campers meet weekly with professional black women trailblazers and entrepreneurs in the areas of Finance, Art, Science and Technology. During their half-day experience girls have an opportunity to learn more about entrepreneurialism. Trailblazers educate girls on their professions by designing and overseeing a hands-on activity. 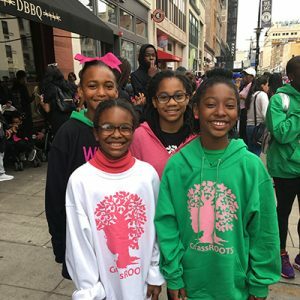 In summer 2017 SuperCamp introduced a groundbreaking program for LEAVES girls, the HealthCare Fellows Program in partnership with RWJBarnabas Health. Over four weeks LEAVES SuperGirls intern at designated work sites within the RWJBarnabas System including Newark Beth Israel Medical Center and Saint Barnabas Medical Center. 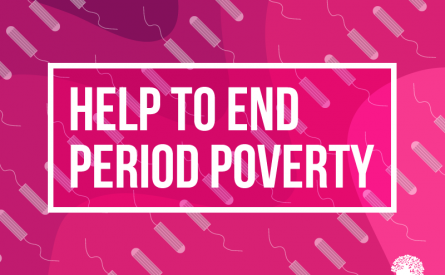 Immediate goals are: (1) to familiarize the girls with the operations of the healthcare system and policy and (2) increase their understanding of how social structures work to influence people’s health and well-being. The fellowship positions SuperGirls to enter into and lead in the fast growing healthcare industry. Through this fellowship girls learn about innovations in health as well as the way to respond to contemporary healthcare needs. Under the guidance of RWJBarnabas healthcare professionals, girls learn about Finance, Marketing, Pharmacy, Social Work, Technology, and Government Policy. At the close of the fellowship the girls create a capstone project on an important healthcare challenge facing women and girls in New Jersey. Saturday, February 17 from 12:30 – 2:30pm. If eligible, we may award aid up to 75% of tuition. Financial aid awards will be notified by 5-25-18. Some applicants will be invited for face-to-face interviews. 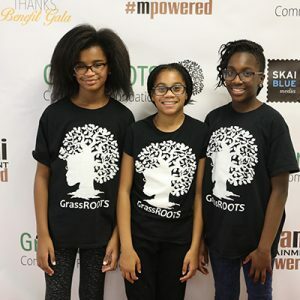 A GrassROOTS Team member, a SuperCamp family member as well members of SuperGirls Society, and an independent Super Camp Supporter conduct interviews. The committee submits their recommendations to the President for approval. applicants will be eligible for the forfeited spot, no exceptions. will be eligible for the forfeited spot, no exceptions. 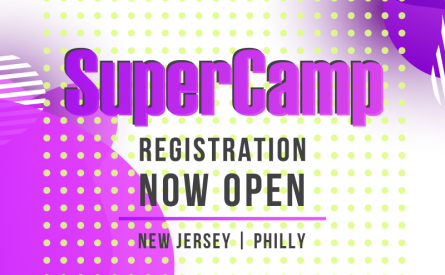 Note: Admission into SuperCamp is the beginning of a reciprocal relationship. minimum of two Super Camp fundraisers and community engagement events. This reciprocal relationship is the cornerstone of our ability to provide aid. eligible to receive aid, no exceptions. When you click on the button below, you will be directed to PayPal page. Please enter the dollar amount at the top left corner where it says “Item Price” and click on “Update”. Then you can choose to pay with your PayPal account or other options including credit card. Click the below PayPal payment option to choose credit card option, debit card or other payment options. Additionally, we recognize the value of cultivating healthy bodies and a creative spirit. To foster artistic development and expression, youth participate in daily fitness including running, yoga, and dancing classes. The success of each camper depends on the support of her caregiving circle. To ensure that each camper reaches her goals, each camper and her caregiving circle completes a family assessment, which is used as the basis for their developmental plan and as the measurement tool to evaluate success. Each camp ends with a final performance where youth showcase what they have learned over the course of the camp. Please download application HERE, fill it out and submit at time of interview. If eligible, we may award aid up to 75% of tuition. Financial aid awards will be notified by 5-16-18. Applicants will be invited for face-to-face interviews. A GrassROOTS Team member and an independent Super Camp Supporter will conduct interviews from 6:00pm to 8:00pm. The committee submits their recommendations to the President for approval. Non-Refundable Deposit: $200 must be received by GrassROOTS no later than 5-30-18, 5:00p.m. Eastern Time. If payment is not received, you forfeit your acceptance to camp and your financial aid. Wait listed applicants will be eligible for the forfeited spot, no exceptions. Balance of Payment: The remaining balance is due to GrassROOTS no later than 6-13-18, 5:00p.m. Eastern Time. If final payment is not received, you forfeit your acceptance to camp and wait listed applicants will be eligible for the forfeited spot, no exceptions. LEAVES at Harding Middle School was GrassROOTS’ first grantee. The program served over 100 girls during its operation.